For quite some time now I have been taken with the idea of minimalism and have made a study of the movement and virtues of this intentional way of life. From my one year shopping ban, to my numerous posts on how to take a minimalist approach in a variety of areas of life (technology, gift giving, personal care), it is clear that minimalism is a true way of life for me and is something I am always seeking to learn more about. Just as I find there are some misconceptions with the purpose and benefits of etiquette, I have realized that not everyone fully understands minimalism. The word may cause you to think of white walls and nearly empty spaces in a Scandinavian style. Perhaps you think of an ascetic who only allows the most basic necessities into his or her life. While minimalism can certainly be applied to these ideas, at its essence minimalism is a way to streamline and downsize to focus on the essential and make room for what adds true value to your life. There are two gentlemen, Joshua Fields Milburn and Ryan Nicodemus who call themselves "The Minimalists." After starting a blog, followed by books and a podcast, they have most recently released a documentary called Minimalism: A Documentary About the Important Things (on Netflix now!). I was so disappointed when tickets to the screening in New York City were sold out, but it was still exciting to watch it on Netflix the day it was released. In fact, I woke up extra early that morning because I was so anxious to see it. What I particularly enjoyed about the movie was the number of other people they had involved through interviews and profiles. Getting to learn more about the different ways that people embrace a minimalist lifestyle and what it means to them was fascinating and a great way to get ideas for my own life. It was also interesting to heat the perspectives of people who have actually made a study of the consumeristic nature of America and our use of resources and space. Both my mother and I agree that one of the most powerful elements of the film was when a hear map was shown of an average house and you were able to see how much of the space is actually used on an average day. Living in an appropriate size space does not seem to be the goal anymore; rather, we look for the biggest space we can get without regard as to if we really need it. While there were many things I enjoyed, I will say that it did get repetitive. 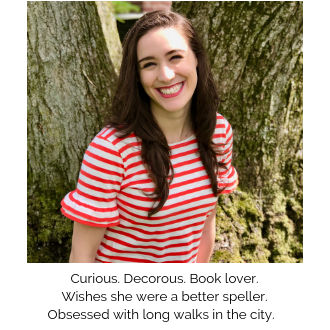 Just like with many of the books I read I felt that the same ideas could be conveyed effectively in less time (or pages, when I'm reading haha). Also, scenes of black Friday shopping, while impactful, were certainly overused. 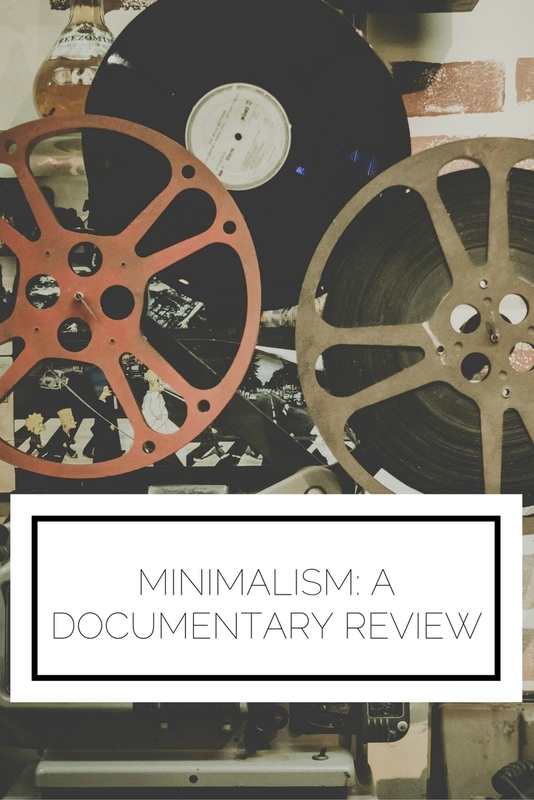 Overall, I enjoyed the film and reccommend it to anyone who has even the slightest interest in learning more about minimalism. Have you watched the movie yet? What did you think?